Many of us have heard odd noises coming from the basement, attic, crawlspace or utility closet. 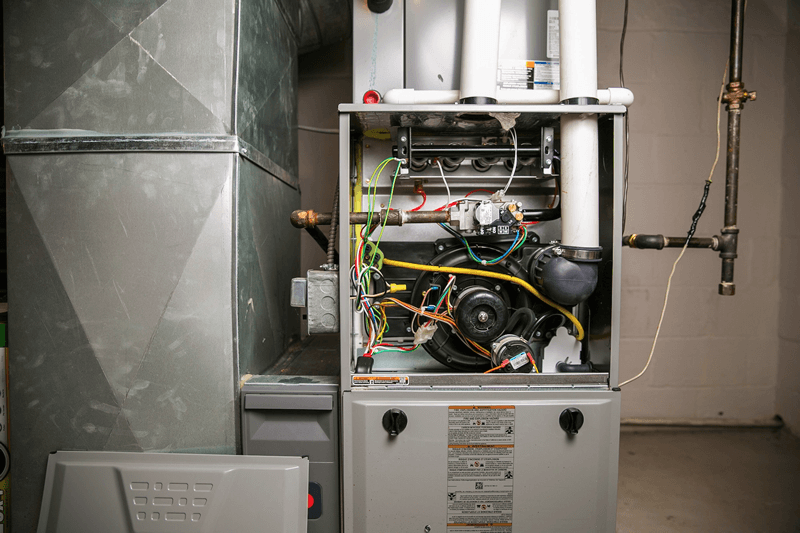 Chances are if your furnace is older, you have heard these noises before. Some sounds can be corrected with a quick fix, while others are telltale signs that your HVAC system is heading towards a breakdown. Squealing or Groaning - This sound often means dirty or worn down motor bearings. When this situation happens, an HVAC professional should come and replace them before the motor burns out. Crackling - This is often the result of the metal in your ductwork cooling down after the furnace has shut down. Pop or boom - In many cases, these are sounds relating to combustion. This can be a dangerous situation, so be sure to call a technician immediately. Chirping - This noise can be the first warning sign that something has gone wrong. It could mean many things, such as loose motor mounts or bearings that have worn out. Clanking or Rattling - This could be a loose, broken or cracked belt on the blower fan motor. It would be best to call a technician immediately. If you are experiencing any of the above noises, we recommend having an experienced HVAC service technician thoroughly diagnose the cause.